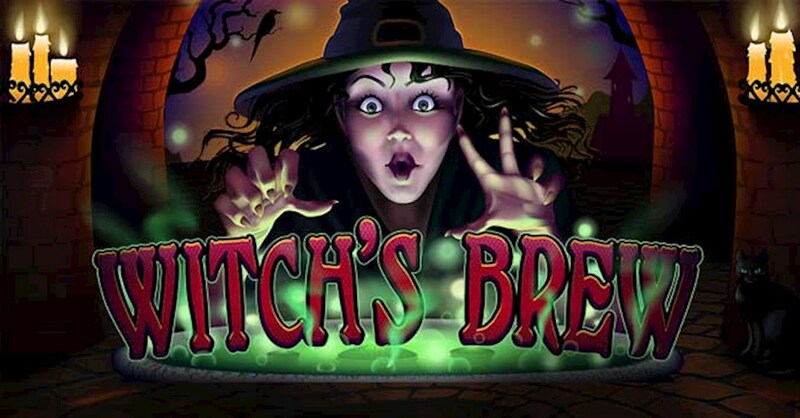 The latest slot release from Real Time Gaming is a Halloween themed 5 reel game with high payouts and many interesting symbols and features that will keep slot fans entertained not just over the Halloween holiday but throughout the whole year. Set in a dark, atmospheric basement the game fits well with the overall theme. There are a range of icons including a very amusing speaking toad along with a witch, dragon fangs and goblin blood. The gameplay and graphics are in line with previous releases, which have come a long way in terms of sharpness and clarity. This is a great addition to the slot games currently on offer and one that’s sure to be a huge hit with fans worldwide. There are a few key features in this game that are worth covering. The witch and the dragon fang make up the wild symbols which appear on reels 2, 3 and 4 they also count for all other symbols except for the scatter blood. The prize is automatically doubled when one or more witches appear in a win. When the goblin blood feature is triggered the wilds are grouped during free games and all prizes are doubled, this is a fantastic feature which offers great value to players. The wild brew feature trigger happens when 3 or more of the same wild symbols appear on reels 2, 3 and 4. The feature itself holds the reels mentioned in place while the others re-spin up to 10 times, however this cannot be retriggered. The scatter symbol is in the form of goblins blood, 10 free spins are awarded when 3 land, 25 are awarded when 4 land and 125 free spins are given when 5 land. The scatter wins are added to line wins and multiplied by the total bet, while the free spins are a great award and increase players chances of winning the larger amounts on offer. The goblin blood feature and the free spins this triggers present a great opportunity for players to earn huge payouts when playing for real money. With an assortment of bet limits this game offers hours or fun for those who want to play for low amounts along with giving the high rollers the opportunity to win big with the top award being 10,000 times bet per line. Taking this into account and the magnificent graphics and gameplay Witches Brew is sure to be a big hit this Halloween and beyond.